This Pet Insurance To Protect Your Pet And Yourself gives in-store pause for thought. I’m not sure the threat or danger, but surely would want Fido and Fifi safe and protected. And the store will insure you and your pet against risk … for a fee. 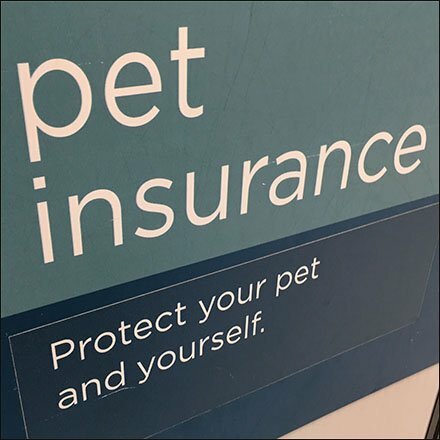 Nevertheless this Pet Insurance To Protect Your Pet And Yourself sign is an interesting upsell. Seen in Petco.